When: Sunday, September 18, 2016 – 7:30 a.m. to 3:30 p.m. This 11 mile, 3,200 foot elevation gain hike will be well worth the effort. 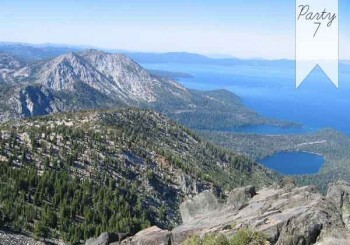 Your experienced guides will lead you through incredible views along the entire route to the summit of this amazing peak which dominates the southwest shore of Lake Tahoe. At the summit you will be rewarded with a delicious lunch, complete with hot tea service, and without question, the best panoramic view in the Tahoe Sierra.